Organizational chart, or usually be called as ‘org chart‘ in short, is a kind of diagram to show the overall structure of an organization. Such diagram is widely used in business from startups to large-scale enterprise. Besides, the non-profit org chart mainly refers to those institutions in public sectors. Here we gonna check out some public sector org chart examples. You can click on any of the sub-titles and diagrams for more insights. 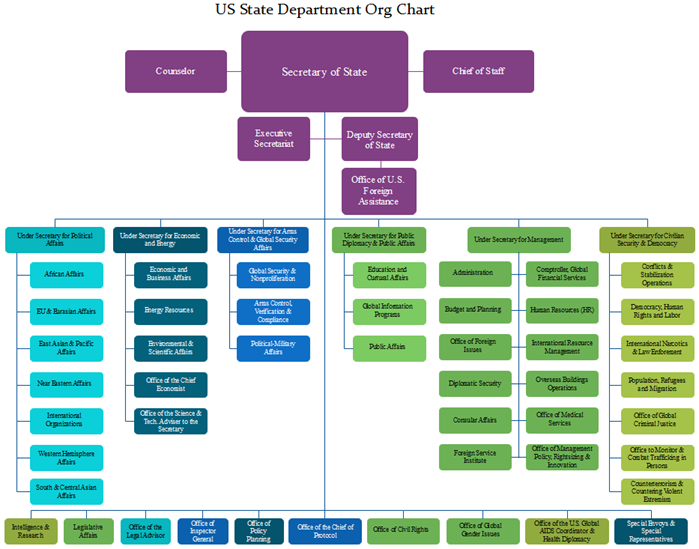 The State Department is the leading federal division within the American government. Main duties of the Department is to offer advice to the U.S. President for international issues and affairs and builds a good relationship with overseas agencies and foreign nations. 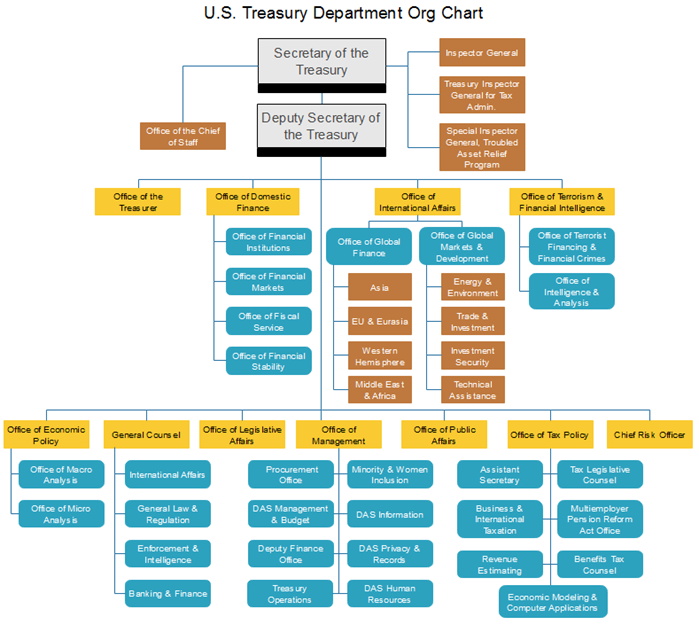 This public sector org chart shows the US Treasury Department, which is an executive organization that belongs to the American federal government. Main duties of the department cover produce currency, monitor banks and some other financial institutions, manage federal debt and so on in order to maintain a good macroeconomic environment. 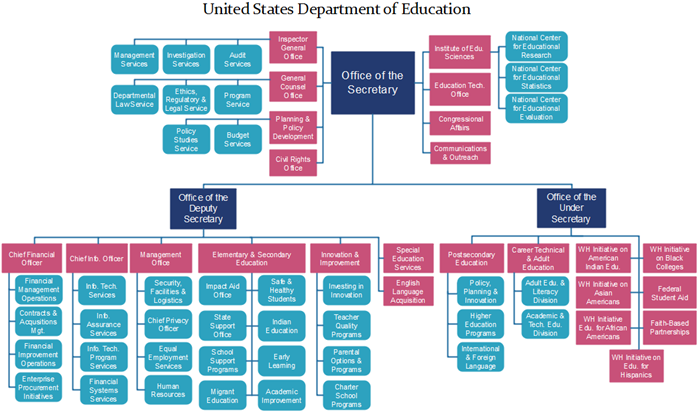 Here is the org chart for the American Department of Education, which has a history of several decades. 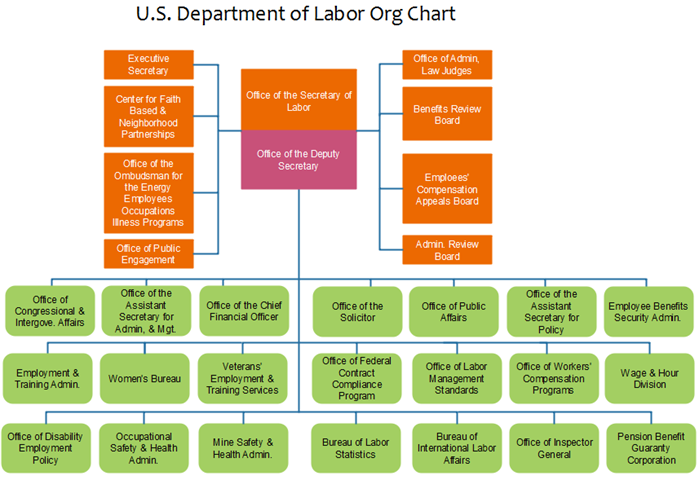 Here comes the detailed organizational structure of the U.S. Labor Department. 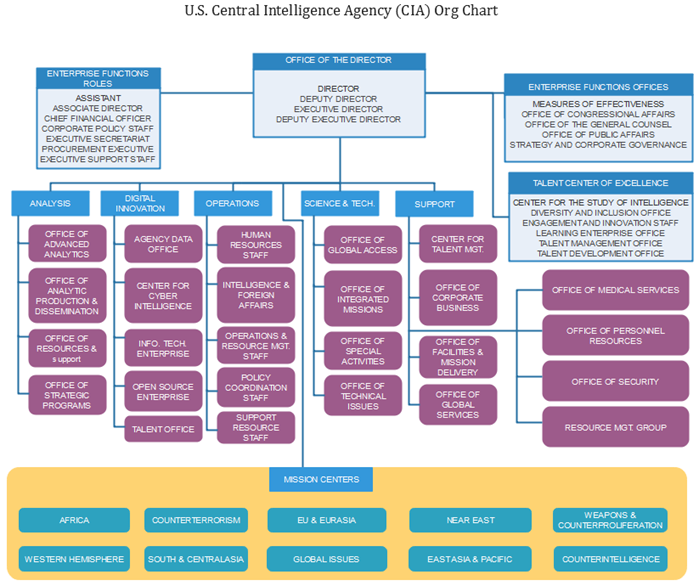 It ensures a wide range of legal rights for wage earners, job hunters and retired people in the U.S.A.
As one of the most important federal intelligence agency in the U.S., CIA is usually mentioned with another key agency: FBI. Feel free to see more details in the below diagram. This one is for the U.S. National Aeronautics and Space Administration. It usually carries out lots of programs for a better understanding of the space. 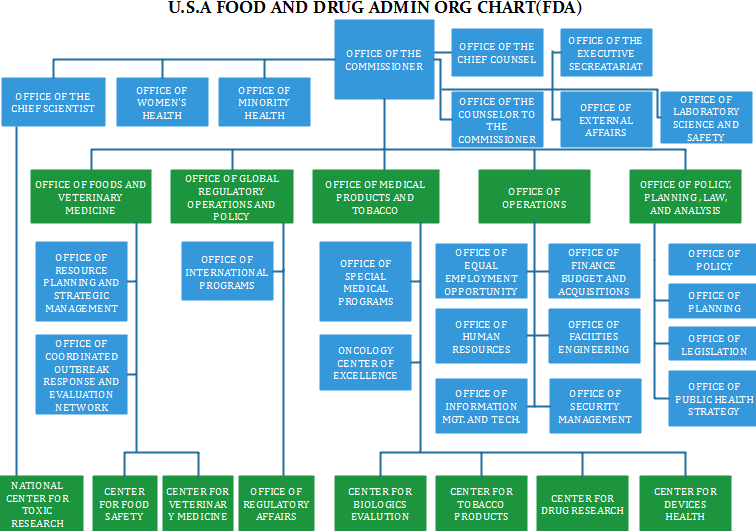 The diagram presents the organizational structure of the American Food and Drug Admin. The Department has many sub-divisions for the whole process of drug analysis prevention. 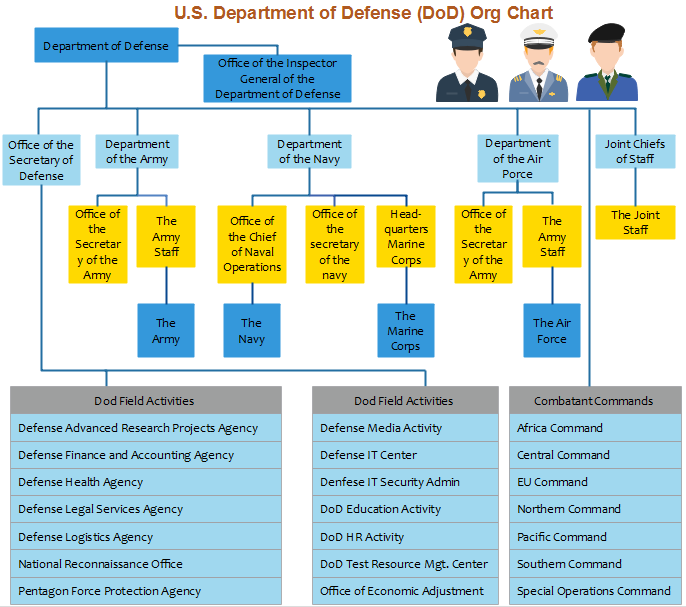 This public sector org chart shows the general framework of the American Defense Department. It plays a highly important role in connecting all kinds of national security events and issues. 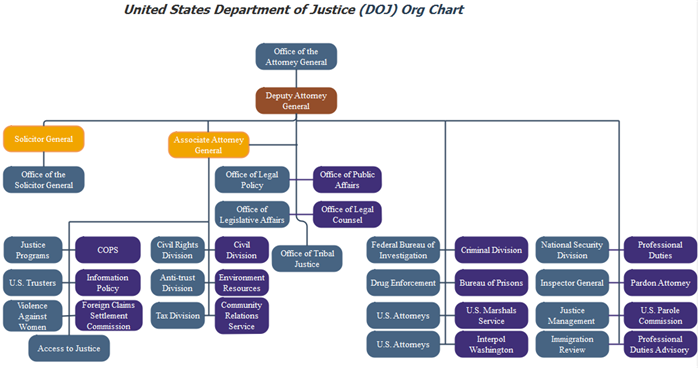 The Department of Justice is the key to the overall national legislative affairs and regulation topics. 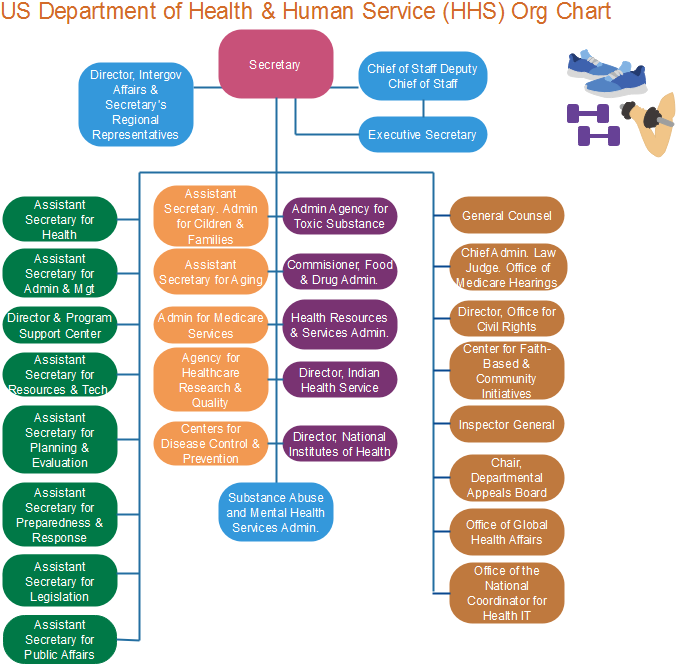 You can easily see details of the American Health and Human Service division in the diagram below. It relates anything to the national healthcare system. 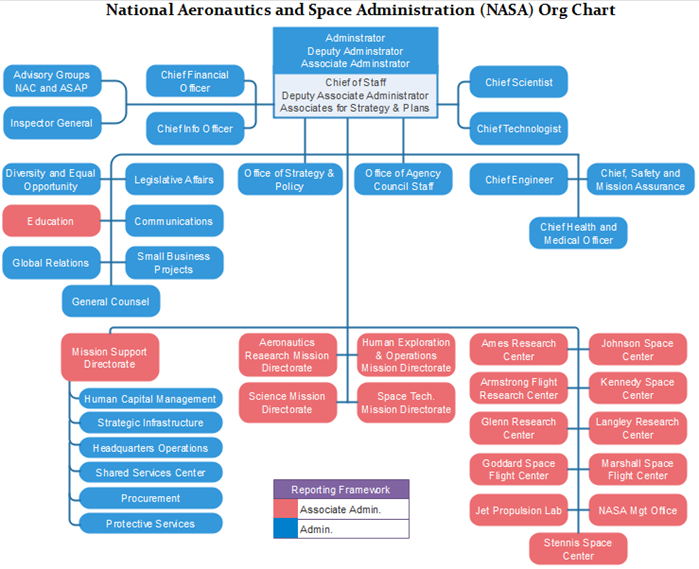 How to Create A Public Sector Org Chart? Just check out the guide Org chart creator for more tips and skills. Alternatively, simply try this easy org chart creator for more advanced settings and management of your business teams.